Rochester, NY, June 6, 2017 – The 49th Annual Corn Hill Arts Festival, presented by ESL Federal Credit Union, will be held on July 8th & 9th 2017. The Festival is a Rochester tradition that celebrates art in a variety of mediums. This year’s Festival will have a renewed emphasis on music, featuring 25 free performances on four stages throughout the two-day event. With such a variety of performances to choose from, visitors will have an opportunity to enjoy jazz, R&B, funk, soul, gospel, and folk and more. The Corn Hill Arts Festival is honored to have Miller and The Other Sinners as the Festival’s featured headliner entertainment act for 2017 on the SBH Main Stage. This nationally touring Southern Soul band, brings a blend of gut-bucket delta grit, Memphis soul, gospel spirit and funky rhythm and blues to the stage. Lyin’ Eyes, an Eagles tribute band, featuring talented musicians from the Rochester area, will recreate a selection of memorable favorites to kick off the weekend on the SBH Main Stage. Saturday afternoon’s SBH Main Stage performance will include Prime Time Funk with special guest, Rochester’s Todd East. This ten-piece band is a powerhouse of music and will deliver a unique combination of jazz, funk and R&B. Todd East’s vocals and talented keyboard work will bring an added dimension to this performance. The 585 Magazine Avery Mall Stage’s Saturday line-up will feature Into the Mind a multi-genre trio ranging from hard rock, to progressive rock with hints of jazz. Into the Mind is a young group that knows how to excite audiences with a fresh sound, personality, and overall love for music. The Corn Hill Arts Festival is proud to showcase the band as one of the two emerging artists invited to perform for 2017. Sunday’s highlight at The 585 Magazine Avery Mall Stage is Starling, a singer who invites the audience to experience her music with alluring, sweet, yet surprisingly powerful vocals. The Labatt Blue Light Gazebo Stage on Saturday will feature Los Blancos. In one performance, they’ll rip through Blues, Soul, Rockin’ Zydeco, Latin, Outlaw Country, Heavy-One Funk, Folk. Touring for over a decade, they’ve rocked thousands of shows, and logged tens of thousands of miles, reveling in a genuine passion for creating music. Sunday on the Labatt Blue Light Gazebo Stage promises a special treat for music lovers as the CHAF Jazz Trio Surprise hits the stage with three world-class jazz musicians. Full details will be announced on June 28th. Todd East’s Billy Joel Tribute Show will hit the Labatt Blue Light Gazebo Stage and will be accompanied by various members of Prime Time Funk and Me and The Boyz. This will be a one-time performance that has been two years in the making. Rochester Woman Online Porch at 27 Atkinson Street Stage will present a variety of genres, featuring Fatima Razic on Saturday. Fatima is an infectious singer, songwriter, looping artist, and beat-boxer. Her talent and energetic performances have made her a favorite in the Rochester, NY music scene. The Davines, a father and son duet, will round out the weekend at the Rochester Woman Online Porch at 27 Atkinson Street Stage with their unique sound that blends folk, blues and jazz. Rochester, NY, May 26, 2017 – The Corn Hill Neighbors Association and ESL Federal Credit Union are excited to announce the details and new developments for this year’s Corn Hill Arts Festival. The 49th Annual Festival will take place July 8th and 9th from 10am to 6pm on Saturday and 10am to 5pm on Sunday. As always, the event is free of charge and open to the public. The Festival will feature an array of original arts and crafts across nine historic streets. This year, more than 350 original artists and craftspeople will exhibit and sell their unique handcrafted creations. The Food Court will, for the first time, offer wine and beer so that visitors can also enjoy music from the SBH Main Stage. Glenora Wine Cellars will be pouring tastings of Finger Lake wines and Labatt Blue Light and an assortment of craft beers will be on tap at the ever-popular Gazebo Stage area on Lunsford Circle. Food vendors and trucks will serve all the festival favorites in addition to some unexpected treats. This year’s event will also bring a new and exciting selection of music to festival goers with 25 unique performances across four stages throughout the weekend. The SBH Main Stage will feature Prime Time Funk with special guest Todd East plus Robert “Freightrain” Parker with his band’s distinctive energetic approach to American roots. Not to be missed is Starling, who will perform on the 585 Avery Mall Stage. New this year for families is the Stokoe Farms Express, an early 1800’s steam engine replica, complete with a coal car, passenger cars and caboose. This ticketed ride is sure to delight kids and adults alike as it loops its course in the Nathaniel Rochester School lot off Adams Street. The conductor will be decked in period costume and available for photo opportunities. The ever-popular, family-friendly Fairy Houses Tour will return to showcase intricate and whimsical fairy houses for its fifth consecutive year. Families are encouraged to build and enter their fairy houses for display. Submissions are now being accepted. 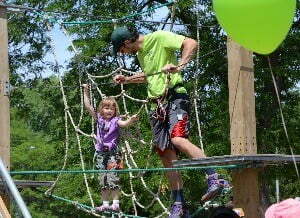 Other family-focused attractions include Bristol Mountain Aerial Adventures climbing area in the expanded Community Area, featuring bounce houses, sand art and much more. The Emerging Artists Expo, will for its ninth year, recognize budding artistic talents. 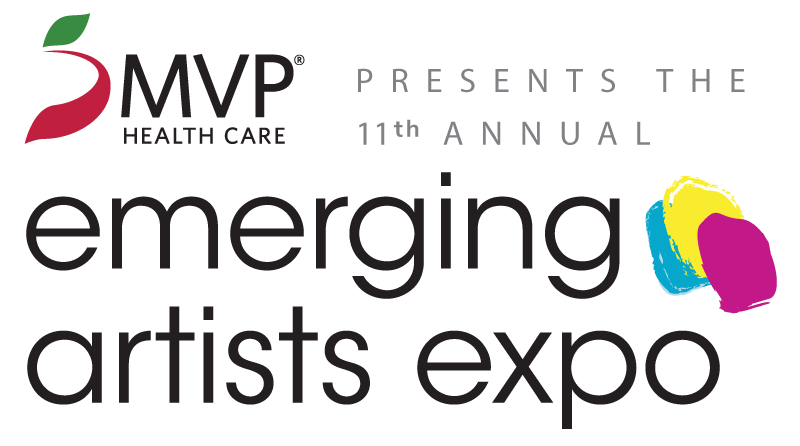 The Expo, sponsored by MVP Health Care, invites 25 first-time exhibitors aged 15 to 25 to display and sell their artwork at the Festival. The deadline for submission is May 31st. For more details on on the Festival, please visit www.cornhillartsfestival.com. Funds raised during the Corn Hill Arts Festival through sponsorships, vendors and exhibitors are used by the Neighbors Association for a variety of community needs, including protecting and promoting the historical character and beauty of the area. 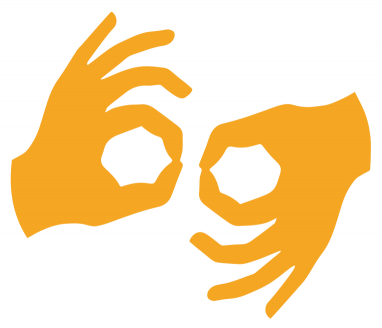 The Corn Hill Neighbors Association encourages cultural diversity, and strives to foster good relations not only within the neighborhood, but throughout surrounding communities as well. Rochester, NY, June 8, 2016 – The Corn Hill Neighbors Association and ESL Federal Credit Union are excited to announce that the 2016 commemorative poster for the 48th Annual Corn Hill Arts Festival was unveiled earlier today. Festival Chair, Joanie Fraver and Faheem Masood, President/CEO of ESL, lead the unveiling ceremony at ESL’s corporate headquarters. This is the third consecutive year that the locally owned financial institution has been the presenting sponsor of the festival. Rachel Cordaro, a full-time painter and textile artist, was selected to create the artwork for this year’s poster. The painting features her signature flower motifs framing a quaint Adams Street house. Art has been an important part of Cordaro’s life since early childhood. She now lives and works in Rochester with her husband Cordell Cordaro, who was the 2010 Corn Hill Arts Festival Poster Artist. Each year, an artist is carefully chosen to design and create the image featured on the annual poster. 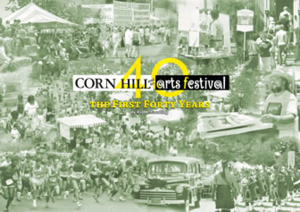 The poster artwork serves as a snapshot of life in the Corn Hill neighborhood, reflecting the spirit of the Festival. In addition, Mr. Masood announced the winners of the Color Corn Hill Contest. The 1st, 2nd and 3rd place winners were decided based on the number of public votes received. Each winner was awarded an ESL Visa Gift Card. The winning artwork will be displayed at the ESL Hospitality Tent at the Festival this year. In celebration of the Festival’s rich history, ESL and the Corn Hill Neighbors Association will be showcasing a retrospective of commemorative posters, dating back to the very first poster created in 1969. Posters will be on display throughout Monroe County at each of ESL’s 20 branches for visitors to enjoy. 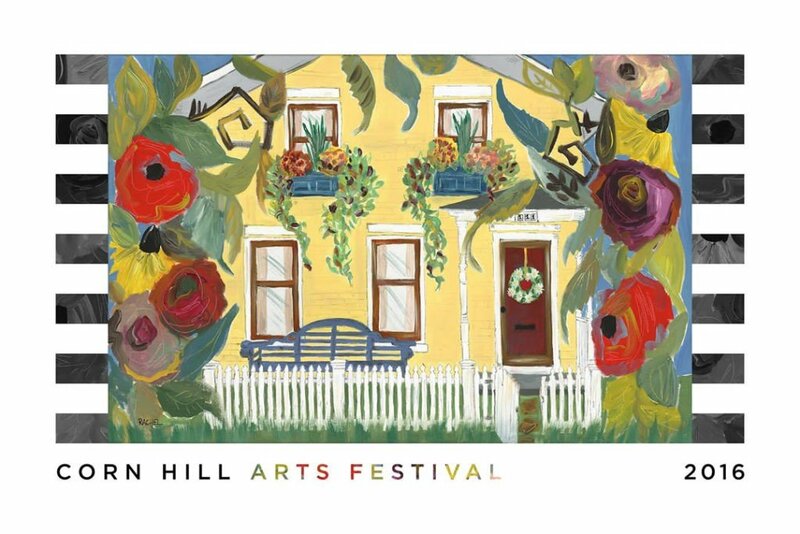 The 48th Annual Corn Hill Arts Festival welcomes more than 375 original artisans, 26 live music acts, The 8th Annual Emerging Artists Expo, The 4th Annual Fairy Houses Tour and new this year a Classic Car Show along with international food vendors and food trucks. The Festival is July 9th and 10th, 2016 in the historic Corn Hill Neighborhood and is free. The grounds will be open from 10a.m. to 6p.m. on Saturday, and 10a.m. to 5p.m. on Sunday, rain or shine. For more information on The Corn Hill Arts Festival, please visit www.cornhillartsfestival.com. Visit Rachel Cordaro online at rachelcordaro.com. Funds raised during the Corn Hill Arts Festival through sponsorships, vendors and exhibitors are disbursed by the Corn Hill Neighbors Association for a variety of community needs. Festival funds are also used for protecting and promoting the historical character and beauty of the area. The Corn Hill Neighbors Association encourages cultural diversity, and strives to foster good relations not only within the neighborhood, and its surrounding communities as well. 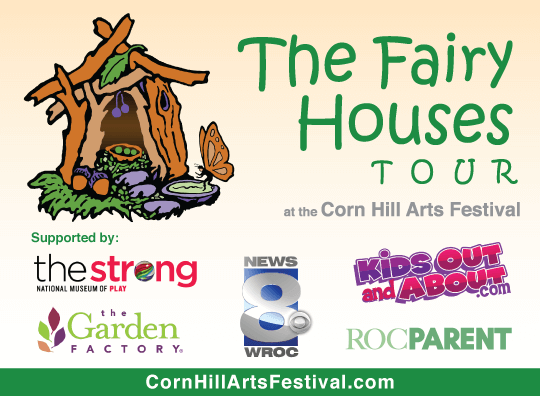 The Corn Hill Neighbors Association is excited to present the winners of the 3rd Annual Fairy Houses Tour which took place at the 2015 Corn Hill Arts Festival on July 11 & 12, 2015. Over 65 original Fairy Houses were submitted to the Tour by individuals, teams and families for visitors to the Festival to view. Over 7,000 people toured the display and voted for “The People’s Choice Award”. This year’s winner is the Marshall Family for their intricately designed house. Utilizing a carved out tree stump, this three story house delighted visitors with a table set for six replete with bowls of berries. The living quarters boasted a fireplace with a stone chimney and a spiral staircase leading to the third floor nursery. The Marshall Family also enjoys designing “fairy frocks”. In addition, nine winners in three categories, “Most Whimsical”, “Best Use of Natural Materials” and “Most Unique” were chosen. Builders used a variety of natural materials including gourds, seashells, maple saplings, bark, stones, oak tree seedlings, and various dried fauna. These beautiful houses were on display at The Strong National Museum of Play. 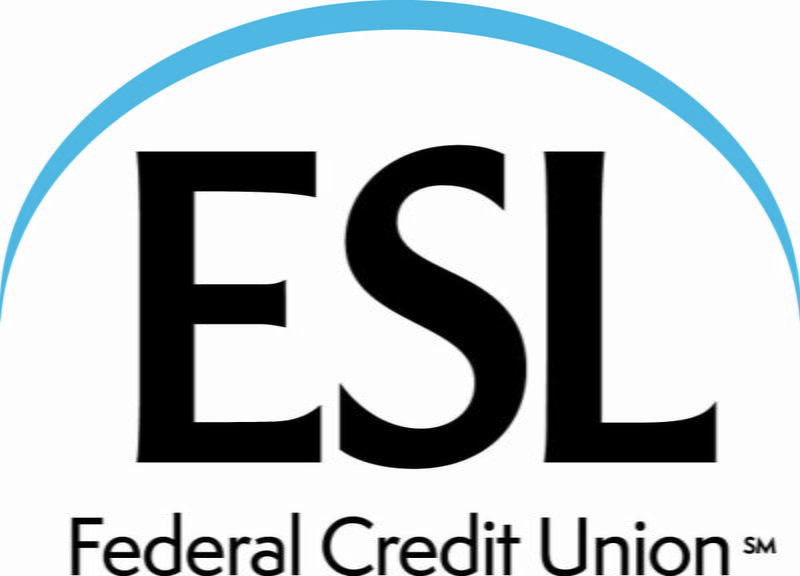 The 47th Annual Corn Hill Arts Festival, presented by ESL Federal Credit Union, will be held on July 11-12, 2015. The Festival is a Rochester tradition that celebrates art in a variety of mediums. This year’s Festival will have a renewed emphasis on music, featuring 28 performances on four stages throughout the two-day event. The complete lineup and details are available on our Entertainment page.